The top figure is a 100 GeV photon initiated shower. Red lines are tracks of electrons and positrons. The shower core contains about 100,000 particles and is black. Physics: Astroparticle physics, astrophysics and cosmology. 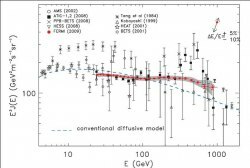 In particular cosmic antimatter (antiprotons, positrons) and the search for dark matter. Instrumentation for physics and medicine. History of physics. 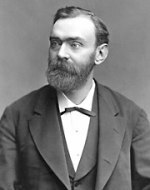 Alfred Nobel and the Nobel Prizes: Award-winning discoveries in basic science and applications. Can the prize in physics be given to organisations? Also: Bridge, golf and music. Currently: History of the KTH physics department. Pamela still active! Carl Anderson's positron. 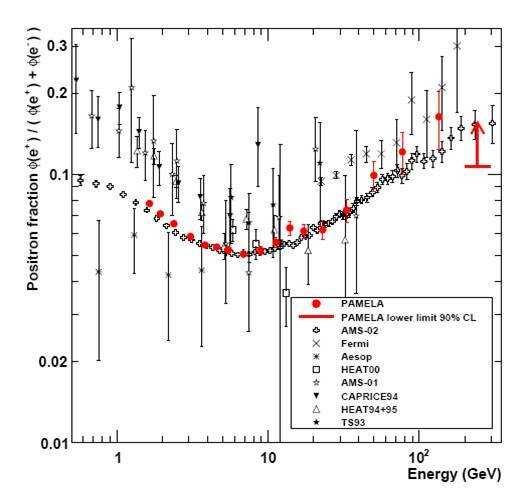 The Pamela magnetic spectrometer, in space since 2006, has found that the flux ratio of positrons/electrons increases with energy up to 200 GeV, a result first published in Nature 2009 and much cited. In the diagram (from a 2013 PAMELA article in Phys. Rev. Lett.) the ratio is shown as function of energy with the Pamela data points in red. The Pamela results have recently in 2013 been confirmed by results from the AMS-02 satellite. 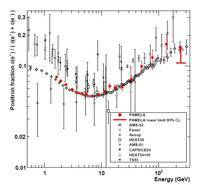 Science Express 3 March 2011 gives Pamela results on cosmic ray proton and Helium spectra up to 1.2 TeV, challenging the super nova acceleration hypothesis. Read more. The Fermi Gamma-ray Space Telescop, in space since 2008, explores the gamma-ray sky and searches for signs of new laws of physics and what composes the mysterious Dark Matter. The diagram shows the electron spectrum in red measured by Fermi. Results published in Physical Review Letters 2009. 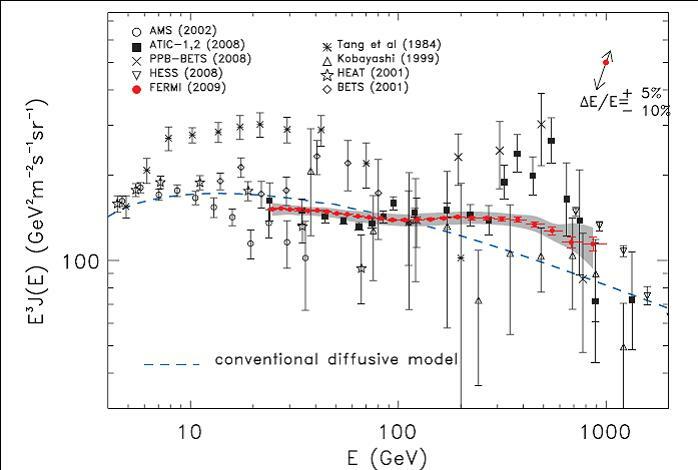 In a 2012 Physical Review Letters article (108, 011103) Fermi gives data on the positron fraction up to 200 GeV using the earth's magnetic field. The Nobel Prize is the most prestigious and well-known prize in the world. The five prizes are in physics, chemistry, physiology or medicine, literature and peace. My interests are in current prize discussions, in the history of the Prize and in the way that Prize-awarded discoveries and inventions in physics reflect scientific and technological developments. The year 1912 when Victor Hess (Nobel Prize 1936) made his decisive balloon flight is usually taken as the discovery year of cosmic rays. 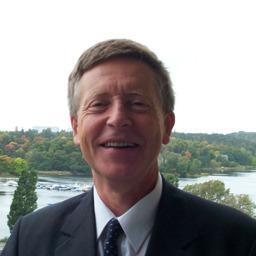 A detailed account of the work that led to the discovery is given in a 2010 paper by P. Carlson and A. De Angelis: "Nationalism and internationalism in science: the case of the discovery of cosmic rays", published in European Physical Journal H 35, 309-329 (2010) and selected as a highlight paper. It includes a discussion of the often forgotten contributions in the early cosmic ray research by Pacini. 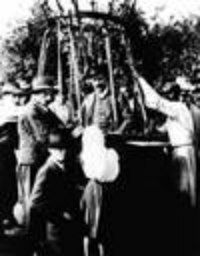 A Physics Today article February 2012 by P. Carlson, "A century of cosmic rays" gives the story of the discovery on 7th August 1912 and subsequent developments. It is pointed that cosmic rays opened up particle physics with many important discoveries in the 1930's and 1940's. The full story of what are the cosmic rays - radiation? particles? positive or negative? nuclei? came first in the 1940's, during the second World War. At one of the 2012 meetings celebrating the cosmic ray discovery, the Centenary Symposium at the university of Denver, P. Carlson gave an opening talk "Discovery of Cosmic Rays". Read about Hess and the often forgotten contribution by Pacini. g/cm2 or about 15 km altitude). It has often erronously been called the Pfotzer maximum after Georg Pfotzer, a student of Erich Regener in Stuttgart. Regener made important studies of the ionization with balloon experiments in the 1920s and 1930s. In a 2014 paper by P. Carlson and A. Watson we show that although Pfotzer did contribute to the later experiments, the correct name of the maximum should be the Regener maximum or possibly the Regener-Pfotzer maximum. 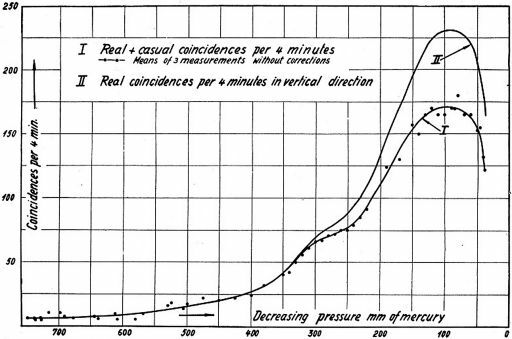 The figure below shows the first results showing the maximum in a paper by Regener and Pfotzer 1935. Read more.